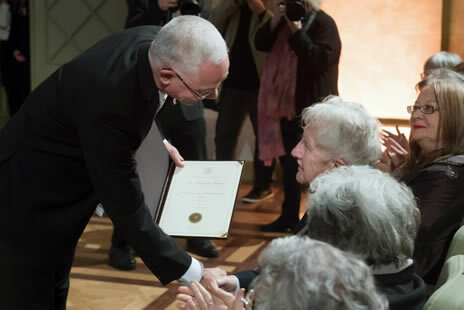 In March 2017, Phaeton author Dr Thomas Kabdebo was honoured (by the Prime Minister of Hungary) with the Hungarian Laurel Wreath Award (Magyarország Babérkoszorúja díj) in recognition of outstanding achievement in the field of Hungarian literature, for his writing, poetry, and translations. 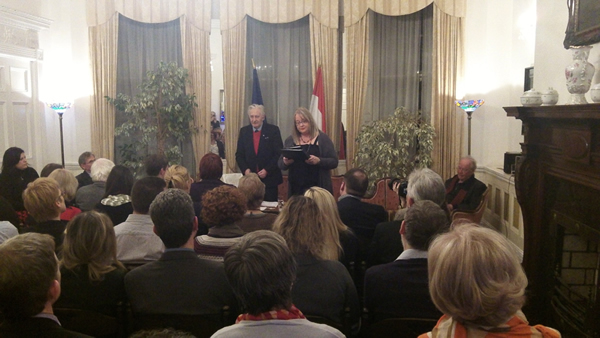 The poems of Professor Brendan Kennelly, translated into Hungarian by Dr Thomas Kabdebo, are introduced by H.E. 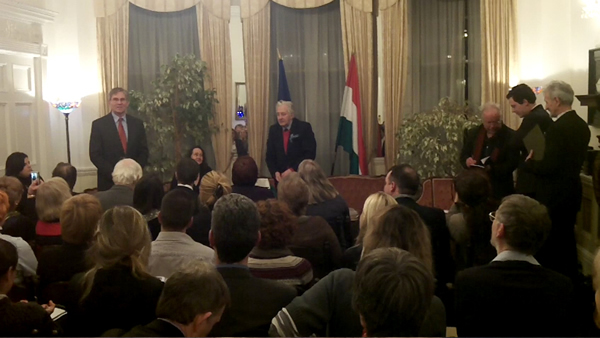 Tamás Magyarics, Ambassador of Hungary, at a recent reception in the Embassy of Hungary in Dublin to present Dr Kabdebo's book Elmém Kérdései. Dr Thomas and Anna Kabdebo with Professor Brendan Kennelly at the readings in English and in Hungarian (at the Hungarian Embassy, Dublin) of the poems of Brendan Kennelly translated into Hungarian by Thomas Kabdebo in his book Elmém Kérdései. '… As a youngster he lived through two regime changes in Hungary, plus an imprisonment, and a revolution, and the loss of his first home. 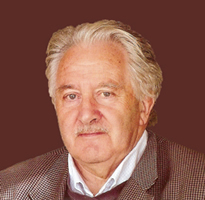 …' [—Árpád Göncz, President of Hungary 1990-2000]. 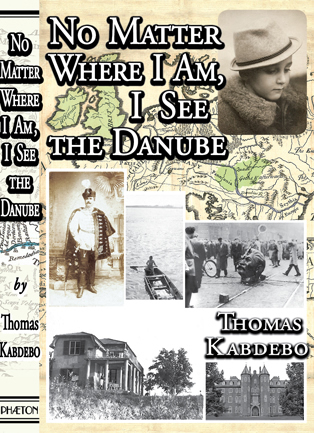 Tom Kabdebo's first-hand experience of the often cruel reality of life in Central and Eastern Europe after World War II, and of the hardships (as well as the infinite possibilities) of life as a refugee, has been captured unforgettably in this compelling, deeply honest book. On 22nd October 1944, the Regent Miklós Horthy came out with a proclamation saying that he was concluding a peace treaty with the oncoming Russians. The 'peace' lasted one day: the Germans captured him, disarmed those Hungarian divisions that had obeyed the Regent, and forced the rest to continue fighting on their own side. …"
My father was released from prison in 1951 but was placed under 'police surveillance' in Pest County. He lodged with his nephew at the edge of a forest near Budapest and made his living by clearing a part of it. …"
"… The Csepel lad sits alone in a corner of the kitchen, eating with one hand, the other held between splints. He looks very serious, and rather lonely. I draw my chair up beside his. His pistol hangs over the back of his chair. 'That took a bit of guts,' I offer, by way of conversation. … 'Tell me, have you always been so brave?' He shakes his head. 'Steel-turners aren't brave. It's precision work. My father operated a smelter; he was brave as a lion. They captured him in the bend of the Don. I was still a kid then. Later, we heard from him, in the Ukraine. Then he was taken to Vorkuta.' 'Did they execute him?' 'Worse than that. He came home a wreck, in '48. They'd kicked his balls in. His left hand was paralysed. Now I'm paying them back.' …"
Dr Thomas Kabdebo is the author of more than forty books, the translator of a further forty books, and has received numerous literary and other awards—including the Hungarian Order of Merit, the Hungarian Laurel Wreath Award for literature, the Péterfy Life Achievement Award, the Füst Grand Prix for translation, and the International Poetry Prize. 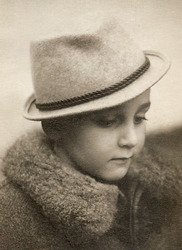 Born in Budapest in 1934, he escaped to the West from his native Hungary after participation in the 1956 Revolution. He has lived in Britain (where he directed the University Library of Westminster), in Guyana (where he directed the University Library of Georgetown), and finally settled in Ireland, where he became Director of Maynooth University Library. He now lives in Newcastle, County Dublin. '… Though a very personal account, this book provides vivid insights into the convulsions of recent Eastern European history, changes which many suspect may not yet be at an end.' —The Irish Catholic.